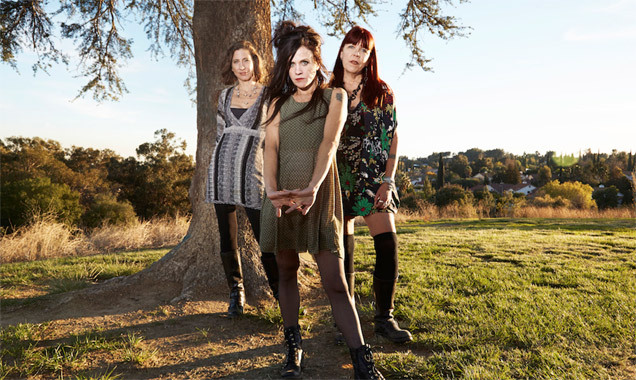 Babes In Toyland, the trio Entertainment Weekly dubbed "rock's first major-label feminists," have confirmed that they will follow their first live show in 18 years (Feb 12 at The Roxy Theatre in LA) with a UK tour & European festivals. "Second time's the charm," said drummer Lori Barbero. They were the first of their female contemporaries to sign to a major label (Fontanelle, the band's second release, arrived in 1992 via Reprise Records) and as a by-product of their individualism, Kat kick-started the return of baby doll dresses and plastic barrettes. Babes in Toyland graced the covers of Alternative Press, NME and the aforementioned Entertainment Weekly. They played the Reading Festival three times (1991,1993 and 1995), Lollapalooza once (1993) and have been featured in numerous documentaries including 1991: The Year Punk Broke and Not Bad for a Girl. Herman left the band in 1997; Barbero and Bjelland played the final Babes in Toyland show in 2001.